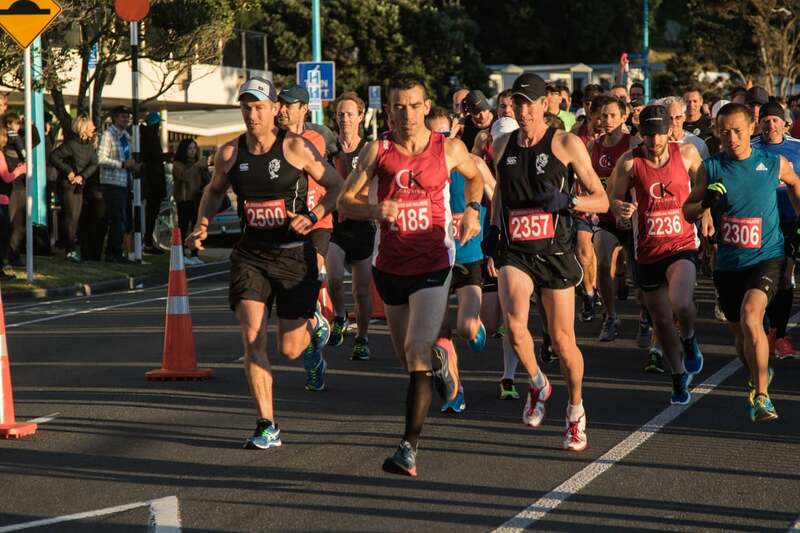 The 33rd annual Mount Runners & Walkers Half Marathon event will be held on Sunday 2 June 2019. Entries will open December 2018: Click here to enter! The popular Queen's Birthday weekend event in Mount Maunganui draws over 1500 participants and is widely praised for its super friendly fun atmosphere, amazing crowd support - including our fabulous cheerleaders and Samba band and excellent organisation. We've been hosting a half marathon event for over 30 years and we love putting on an fantastic running and walking festival beloved by runners and walkers and their families. In addition to the Half Marathon Run or Walk, there are also 10 km and 5 km run or walk course options and all courses circumnavigate the popular Mauao base track. An additional Kids K course option is held on Mount Maunganui Main Beach for all super enthusiastic little ones - entry via gold coin donation for 500 m or 1 km. Our entry prices are deliberately kept low to ensure our event is accessible and affordable to everyone in the community. Any profits we make are reinvested in making the event better each year and also given back to the local community. See you there - Queen's Birthday weekend, 2019.